Resolution Audio Cantata Music Centre review | What Hi-Fi? 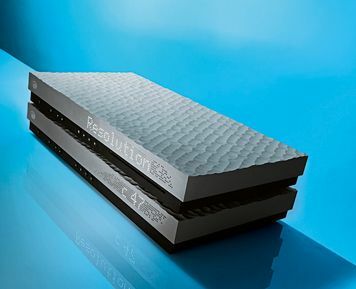 This is no ordinary one-make combination – one look at Resolution’s Cantatas is enough to confirm that. And get past the stunning appearance – if you can – and you’ll find a brilliantly capable pairing and some really clever engineering. Resolution calls this product a ‘Music Centre’. If that brings to mind a turntable, cassette deck, radio and amp all packed into one veneered-chipboard case, you’re forgiven. In 2011 the phrase is everything to do with digital. The Cantata source is a digital hub. It has a built-in CD drive, and can accept digital data streams through coaxial, optical, USB and ethernet inputs. Products such as this are often compromised. Either they perform better with one input than another or they’re awkward to use. The Music Centre avoids both issues, and becomes one of the best ways we’ve come across to enjoy a range of digital sources. Regardless of source, it has an almost supernaturally fast sound that stops and starts with an appealing abruptness rarely heard in hi-fi. This class-leading agility means the player can track intricate instrumental strands with ease, laying bare even complex pieces of music such as Arvo Part’s Tabula Rasa. Provided the original data stream is good – we’re talking uncompressed files here – the Music Centre’s detail levels are extraordinarily high, which makes for an entertaining listen. You won’t be straining to hear every little detail; everything is handed to you on a sonic plate. Yet despite all the insight on offer, this machine never sounds sterile or overly analytical, thanks to a winning way with dynamics and timing. Listen to Tinie Tempah’s Pass Out on CD or The White Stripes’ Seven Nation Army from a WAV file outputted from an Apple MacBook, and the Cantata Music Centre delivers an infectiously punchy sound where every instrument and vocal combine to create a sound full of drive and power. Rhythms are spot-on, too, with music delivered in a strictly regimented, yet still organic manner. By the highest standards, it’s fair to say that the Resolution is a touch on the taut side. It has a pared-back sound where leading- and trailing-edge information is emphasised over the bit in between, leading to a slight loss of richness and weight. This is most noticeable at low frequencies, which are as agile and informative as we’ve heard, yet lack that last iota of muscle. Treble, at the other extreme, is delivered with real sparkle, but remains sweet with it. Moving away from performance, we have to say we absolutely love the Cantata look. The top panel is milled from solid blocks of aluminium and incorporate small random scoops – no two units are exactly the same. We also love the large pin-dot display too: it looks funky and can be seen from way across a large room. We already know the Music Centre is well equipped as far as inputs are concerned. It also has balanced and unbalanced analogue outputs and a variable output for putting directly into a power amp. Our sample of the Music Centre suffered from excessive transport noise. It’s a known issue with some early units and Resolution already has a fix in the form of a revised, quieter disc spinner. All new players have this fitted, and any older machines suffering from the problem can be upgraded free of charge, in the UK at least. The control buttons don’t feel as positive as their prices demand, and the system remote handset is yet another example of high-end products being supplied with something that’s disgracefully cheap feeling compared to the thing it’s controlling. Indeed, the entire high-end industry has to do better in this respect. But put it all together and there’s still no getting away from the fact that Resolution’s Cantata duo are terrific performers both in their own right and when used together. The Music Centre is a digital music hub that qualifies for audiophile status – and that’s something we rarely say, sonically, at least, it's world class.